There are ordinary days. Some disapointing with no finds att all. Then there are good days with lovely finds. And then there are extraordinary fantastic days with one or two marvellous finds. Last Sunday was one of the extraordinary ones. When I entered the flea market I knew I should have brought more cash. To prioritize is a diffifult task. But I managed. When I saw this vase from Palshus there was no doubt in my mind. Especially not as I turned it in my hands and saw the light playing in the glaze. The blue notes got even more lovely. 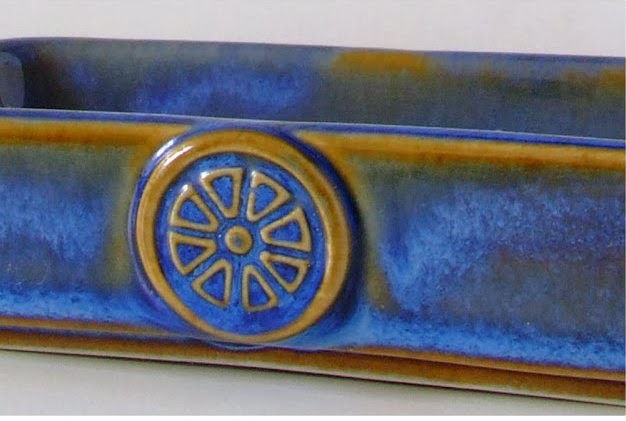 I don´t know much about the early production from Palshus, but in 1957 owners Annelise and Per Linnemann - Schmidt started working in chamotte stoneware with cut decorations and a glossy glaze. The vase is from that production and being in good condition as well it was really a marvellous find. Palshus excisted from 1948-1972 and was situated just outside Copenhagen. In Taastrup. Some works are signed APLS for Annelise & Per Linnemann-Schmidt, others ALS for Annelise Linnemann-Schmidt and others again PL-S for Per Linnemann-Schmidt. They also had other artists working for them. For example Jens H. Quistgaard from 1948-50. Signed IHQ. What a find...that is a truly wonderful piece. Palshus is so hard to find - here anyway. Here too - At least the places I go to. It´s the first time I´ve found anything from Palshus. Per concentrated on the workshop and design side whilst Annelise was more office bound dealing with sales marketing administration and accounts. The name Palshus was coined by a visiting naval commander, british I believe, who used to visit them socially at home and coined the phase PALSHUS from putting together Per And Annelise Linnemann-Schmidt's Hus .... P-A-L-S-H-U-S. Per was an accomplished artist draftsman (life & figure drawing) and sculptor in clay plaster (and bronze) and graduated from the Denmark Royal College of Art and he had many commissions, mostly in private ownership. 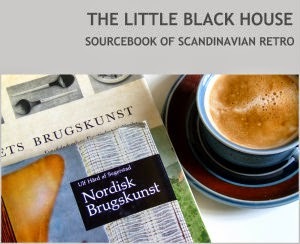 I believe he undertook commissions for the Danish Royal Family and the Mearsk family (Mearsk shipping). 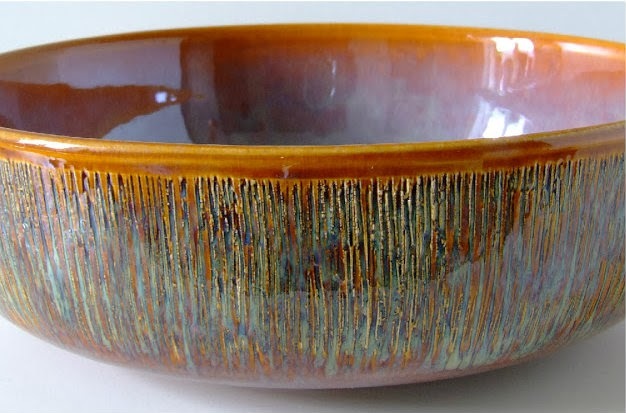 Per was self taught in devising glazes and perfected beautiful Haresfur glazes. 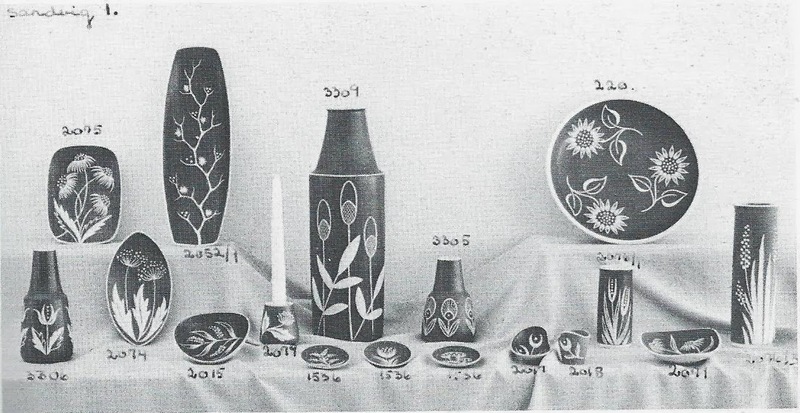 He didn't make many pots himself, these were undertaken by trained crafts people working mostly at piecework rates. 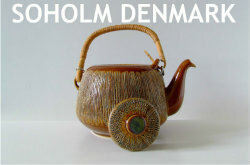 Per would guide the forms, surface decoration and glaze to create "art pottery" that sings. One of the earliest commissions was a production series of dishes fo Heering Sherry; I believe either Per or Annelise were related to the Heering family. The vase bowl bottle and lamp forms are very understated and stylistic of the era but they still look contemporary. He certainly visited Bernard Leach in St.Ives England in the late 1950's / early 1960's. A number of artists flowed through Palshus and collaborated on designs - one such artist was the Cuban Hugo de Soto. who, amongst other designs, made some prototype chess pieces. The Palshus elephant was designed by a visiting artist designer (whose name escapes me at the moment). Tragically Annelise passed away in 1970 in a car accident whilst driving home from the studio late at night. Per, without the support of his wife felt unable to continue and Palshus closed for good around 1972. Per didn't involve himself with ceramics after that but he did continue with his drawing painting and sculpture until he too passed away in Soro Demark 1999. Per and Annelise had three children and five grandchildren including the ceramic artist Annelise Linnemann Schmidt (named after her grandmother) currently practicing in the UK.